Private and tranquil setting in Acacia Bay with unsurpassed views of Lake Taupo. This downstairs space has a queen bed and private bathroom. Adjoining queen bedroom available if required. This listing is for the downstairs rooms. The Kowhai Suite is available for rent upstairs. As a hostess I am happy to be either front of house or behind the scenes, If discretion required. Let me know your preference at time of booking. I am more than happy to collect you from the bus station or airport. We expect all guests to behave in a respectful manner. No smoking in house. Unsuitable for young children. No pets sorry. 1 night minimum stay. Please contact Robyn to check for availability. 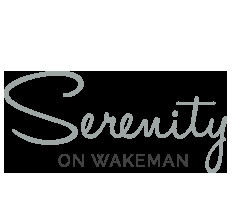 © Serenity on Wakeman. All Rights Reserved. Proudly a New Zealand owned business. Original generation time 0.7604 seconds. Cache Loaded in: 0.0252 seconds.